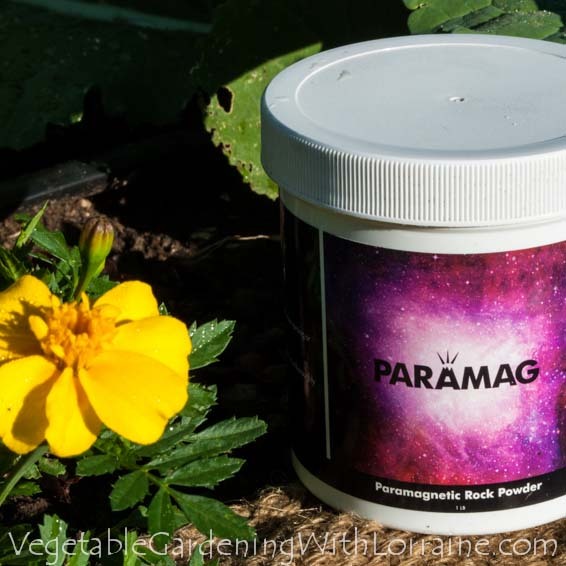 The use of paramagnetic rock dust is gaining notoriety in cutting-edge organic farming these days. Why rock dust? And why only certain, specific rock dusts? What do they do, and can they be of help in the vegetable garden? I’ve read quite a bit about this lately, because there does seem to be something wonderful going on here. in the vegetable garden to increase the health of our soils, improve the microbial ecosystem, and increase both the nutrition and yield of our vegetables.. So of course I have to share this with you! The best rock dusts for our purposes are volcanic in origin. Magma deep in the earth is a sort of elemental soup, and when it is exuded through a volcano as lava or ash, it brings a host of broad spectrum minerals and elements up to the surface. There are volcanoes all over the planet, and when they erupt they often distribute ash over a wide area. Rivers that flow from volcanic regions also carry valuable volcanic silt, which is one reason why many river valleys have such fertile soil. Over geologic time plant life slowly extracts and uses these minerals, which are then eaten by animals and people. In the modern developed world, because of sewage removal systems, these precious minerals don’t get cycled back into the soil - they go down rivers and out to sea. Our agricultural soils are being depleted of minerals, and our health is now suffering as a result. For the minerals in volcanic rock dust to become available to plants, microbes are needed. Microbes exude acids which help degrade the rock particles into their component minerals, which can then be utilized by plants. So rock dusts are a safe form of slow-release, trace mineral fertilizer. Microbes and plants work together in symbiotic relationships to extract the needed minerals from rock, making them available to animals and people. Using rock dusts (the finer the better, dust is best) in the vegetable garden will boost microbial growth, improve soil, and make our veggies more nutritious. What we generally think of as “magnetism” is ferromagnetism, which is the result of the unpaired electrons in a substance (like iron) lining up both with each other, and with an applied electromagnetic field. Remove the electromagnetic field, and the particles still remain aligned with each other, but (obviously) not the field. In a paramagnetic substance, however, the unpaired electrons line up only with the applied field and not with each other - so take the field away, and they no longer remain aligned. Paramagnetic substances are attracted to magnetic fields. Paramagnetic substances exhibit another, related property: they are capable of receiving and absorbing energy from extremely low frequency radio waves (ELF). ELF is generated by lightning, and there are somewhere between 2,000 and 4,000 strikes per minute that occur around the globe. These lightning strikes charge the atmosphere with ELF energy. Paramagnetic materials are capable of absorbing this energy, which they then emit as photons. That’s right, light. Now paramagnetic rocks (and their powders) don’t glow in the dark in any way that the eyes can see, but the light emission can be measured by sensitive photon-emission instruments. The German biophysicist Fritz-Albert Popp measured photon emissions from paramagnetic rock, and discovered something profound. When mixed with compost that was rich in microbes, the photon emission was amplified a hundredfold! 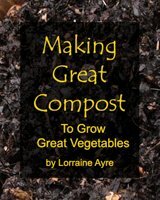 So mix paramagnetic rock dust with compost, leave it a few weeks (keeping it moist so the microbes can thrive), and then add it to your garden the next time you work the soil. It will make plants grow more extensive root systems, leading to better mineral uptake and more nutritious vegetables. At this point I have to say that I don’t understand why the photon emission has such an effect on microbes and plant roots, but it does, and we can benefit from using paramagnetic rock dusts in our gardens without a full comprehension of why it works. I promise to use it only to send you Lorraine's Garden.